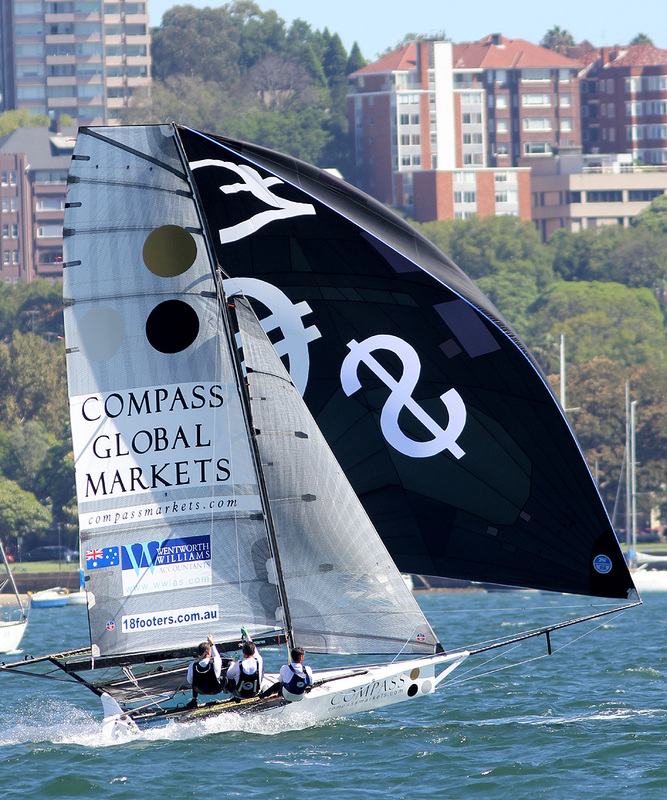 Strong southerly winds, gusting to more than 30-knots on Sydney Harbour, brought a premature end to the Australian 18 Footers League 2014-2015 Season when today’s Race 11 of the Club Championship had to be abandoned. The Coopers 62-Rag & Famish Hotel team of Jack Macartney, Mark Kennedy and Peter Harris were declared Club champions as the team held a 14 points lead over the fleet before today. Keagan York, Greg Dixon, Matt Stenta took out the Club’s Season Poinrscore on Compassmarkets.com. The team defeated the Yandoo team of John Winning, Andrew Hay and Jim Beck by 11 points. The Australian 18 Footers League would like to thank its supporters and sponsors and looks forward to continuing the association again in 2015-2016.